DISCLAIMER: Lime Ears provided me with a discounted price on the Model X in return for my honest opinion. I am not personally affiliated with the company in any way, nor do I receive any monetary rewards for a positive evaluation. I’d like to thank Lime Ears for their kindness and support. The review is as follows. 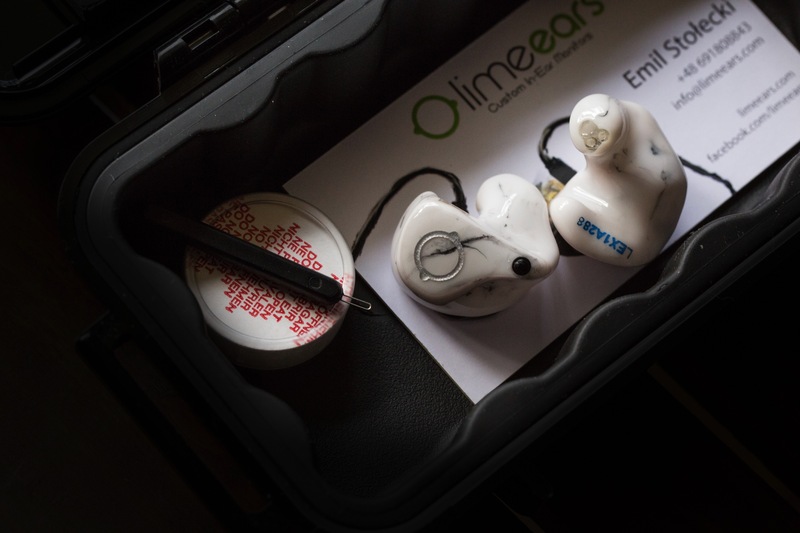 Lime Ears is a Polish in-ear manufacturer whom – I think – is one of the most underrated in the world today. Three years after the release of their highly-acclaimed flagship Aether, the company have set their sights on dominating the mid-tier market with the all-new Model X. However, despite its positioning as second-fiddle to the Aether (in driver-count and price), company founder Emil Stolecki has equipped the Model X with both old and new innovations inside. The bass switch and VariBore make welcome returns, while PAR (or Passive Acoustic Resonator) technology makes its debut – resulting in a vibrant monitor with smoothness, air and headroom to spare; one of the most versatile 2018 has to offer. The Model X arrives in a black Pelican-esque monitor vault with the logo, owner’s name and serial number printed on top. 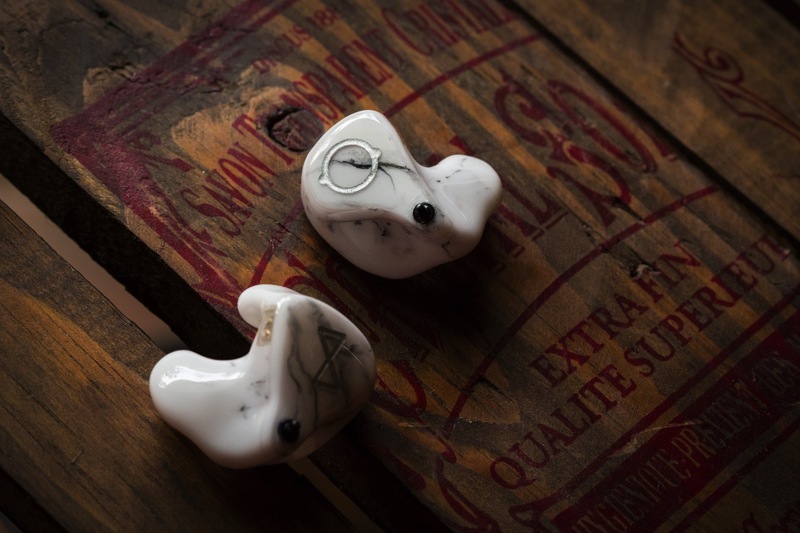 The in-ears themselves are nestled safely inside, along with a cleaning tool, desiccant and a name card with Lime Ears’ contact information. Like I was with the Aether, I’m a tad let down by the minimality of the package. I expect more in 2018, especially considering my experiences with Avara Custom, Empire Ears and AAW. But if what I saw at CanJam Singapore 2018 is to be believed, Lime Ears should soon revamp their packaging to adopt a more luxurious aesthetic – complete with a sizeable box, a metal case, and ample accessories. Unfortunately, I can’t review what I do not have. Despite the modest packaging though, the monitors themselves are gorgeously built. Emil and I decided to experiment on a brand new design option for the Model X, and the result is a beautiful marble-like motif. Completing the scheme are a pair of engraved logos and a coat of lacquer. The shells are a tad light, but they’ve survived tons of gigs in my fully-stocked backpack, so this shouldn’t be of much concern. Ergonomically, the Model X is one of my looser-fitting monitors – ironic considering the Aether is one of my tightest. However, this is no real detriment to comfort or isolation at all. The Aether’s do cancel out a touch more noise, but I’d rather take the Model X’s vanishing comfort any day. So all in all, I think Lime Ears is an underrated force in cosmetic design and build. All they need now is a premium package to match. Drawing from Emil’s past experience as an acoustics engineer, VariBore and PAR technology are both acoustical mods. VariBore implements varied sound bore diameters for the low, mid and high frequencies. The dual bass drivers fire through a tighter 1mm bore for optimal low-end delivery, while the tweeter outputs through a 2mm bore for superior extension and minimal resonance. When paired with further damping, the driver delivers a silky smooth top-end that doesn’t skimp on energy, vibrancy or air; one of my favourite elements of the Aether that makes a return in the Model X. On the other hand, PAR manifests itself as an additional bore bred purely for resonance control. It’s an empty cavity that acts as a resonator, further smoothening the Model X’s frequency and impulse responses. By treating the ear canal as an acoustics engineer would a room, Emil has given the Model X an advantage over the Aether in transient speed (and decay), overall authority and resolution despite the latter’s higher driver count. 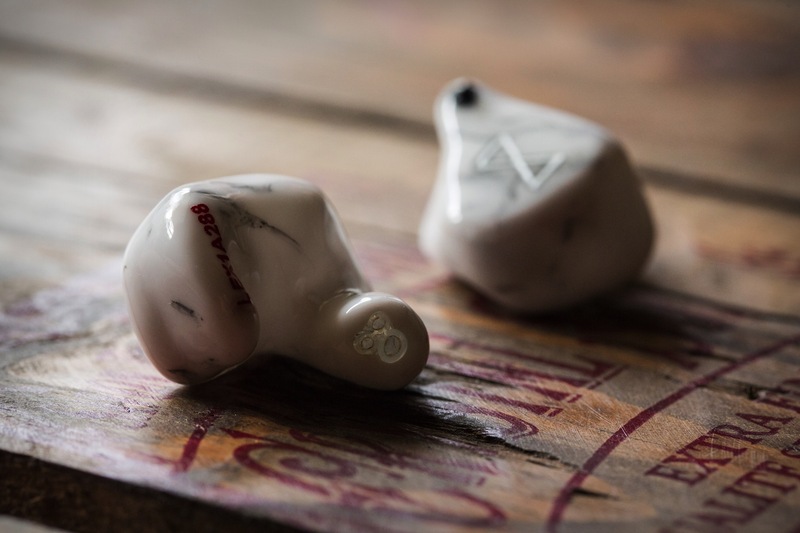 These improvements in focus and finesse address the Aether’s most common criticisms – especially in the midrange – and allow the Model X to maintain its dynamic, musical and fun signature with very little compromise in cleanliness and transparency along the way. Lime Ears’ bass switch is another recurring feature present in the Model X. It boosts frequencies below 800Hz by approx. 6dB. It’s an especially useful feature when listening to playlists with varied genres, but it’s also compliant to the Fletcher-Munson curve. Basically, the curve states that at lower volumes, the human ear will perceive less bass relative to the mids and highs. So, this bass boost compensates for that in scenarios where quieter listening is ideal or required. The Model X leans toward neutral with the switch down. This is unlike the Aether, where its bass remained musical in the same position. With the switch up, the low-end gains dynamism, impact and body with little alterations (if any) to tone, as well as minimal compromise in imaging. The technology may be more widespread nowadays, but Lime Ears’ implementation remains one of the best – adding energy when the mood strikes with little cost to balance or finesse.